The National Research Institute is an American governmental agency tasked with coordinating research and development all over the globe to ensure that American interests are protected and nurtured. On the surface, it promotes the use of American products and manpower by other countries through trade fairs and summits. On its large campus outside of D.C., four of the five large buildings are devoted to this activity and it is this that generates the favorable publicity and plaudits from Congress. Covertly, however, it has been dubbed "the science-based version of the CIA". Working out of that fifth building, one set a way apart from the others, its agents are sent out wherever there is a chance of a new discovery or breakthrough to see how that information might be used to help the United States. They are tasked with doing everything they can to make sure that the technology finds its way into American hands, whether it is by persuasion, coercion, bribery, purchase, or theft. Industrial espionage is one of the specialties of this department. Laidlaw is a 32-year old female agent with that organization at the start of the series. Quite beautiful and even smarter, she is in peak physical condition, something she has to be to survive the unwelcoming regions her bosses routinely send her. She knows her way around firearms and packs one wherever she goes as she has been taught by her mentor, a man named Moore, that there are plenty of other people, working for their own governments or their own pocketbooks or both that would love to eliminate the competition however it needed to be done. 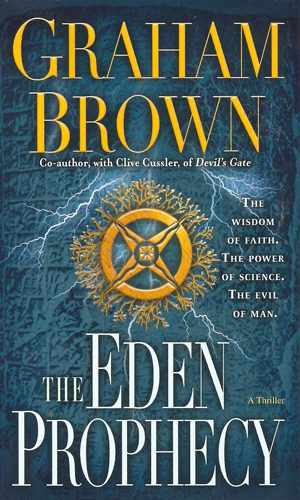 In the first recorded adventure, Laidlaw is given control of an expedition deep into a tributary of the Amazon in search for crystals which might hold the key to cold fusion. Her senior partner, Moore, is called home and she is in charge. One of her first command decisions is to recruit a man named Hawker to be her pilot. It does not take more than a day before Hawker proves he is also good at being a right-hand man. Hawker is an ex-CIA agent who had served with distinction and considerable valor for many years until he was given a command that his conscience would not allow him to do and he refused. Whether he was fired or quit was nowhere as important as the fact that the Agency still harbors considerable animosity towards him and considers him a wanted man with a difference. He is wanted not because he broke any law but because he knows something many higher-ups did not like him knowing. Not really able to return to the States, he makes his living as a mercenary, at least according to the government interpretation. He does not actually sell his gun arm but rather he takes jobs that fit his own code of conduct but that sometimes means he has to use his gun to stay alive. He definitely is not getting rich doing this and his financial lows were one of the reasons for his accepting the job offer by Laidlaw. As the series progresses, the two go their separate ways but are reunited by circumstances. Their ability to work together does not suffer, though, and they make a great team even if they might not see it that way. 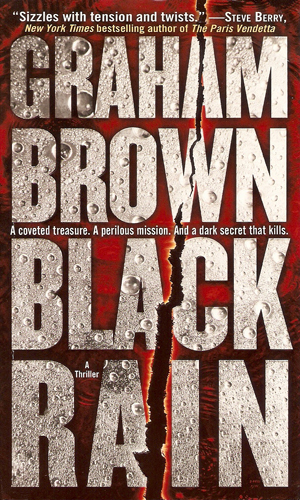 Note: the author on his personal website (www.grahambrownthrillers.com) refers to the pair as Hawker/Laidlaw but since she is the actual current agent and seems to have more page-time, I give her the top billing. Danielle Laidlaw leads an exploratory group into the jungles of the Amazon in search for a Mayan city unaware that hers is not the first group to be sent; the previous one disappeared. A billionarie is determined that she not succeed any better than the first group. Heading back to the Amazon on a search for a Mayan stone said to produce waves of energy as it counts down to 2012, Danielle Laidlaw learns there are three other stones. The question that most concerns her is what happens if all four stones are brought together. A dying man makes an appeal to Hawker for help. Unfortunately, his prints are on an envelope containing an unknown virus which was sent to and infected a US ambassador. Hawker asks for Danielle Laidlaw to help find out what his dead friend was involved in. As action/adventures go, this series is a hoot. I really, really enjoyed it and will grab the next ones as soon as they come. The fact that the author is, at the time of this writing, working with Clive Cussler to produce Kurt Austin adventures might slow down new arrivals but I hope he can maintain the series for a while. I like both Laidlaw and Hawker and I like the troubles they get into and out of. 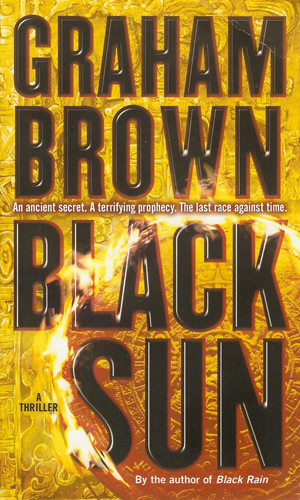 This series comes out as part of a spate of adventures seeking lost artifacts which can have dramatic affect on modern life, many written by excellent authors like this one. What sets it apart and makes it fit the criteria for a spy series is that the work that the NRI does is most definitely espionage and thus it belongs. If you want a thrilling ride to go along with some cloak and dagger work, this is a great series to read.